A new spot offering poke and desserts has made its debut in the neighborhood. Called Papa Yu, the newcomer is located at 1037 Blalock Rd. in Memorial. 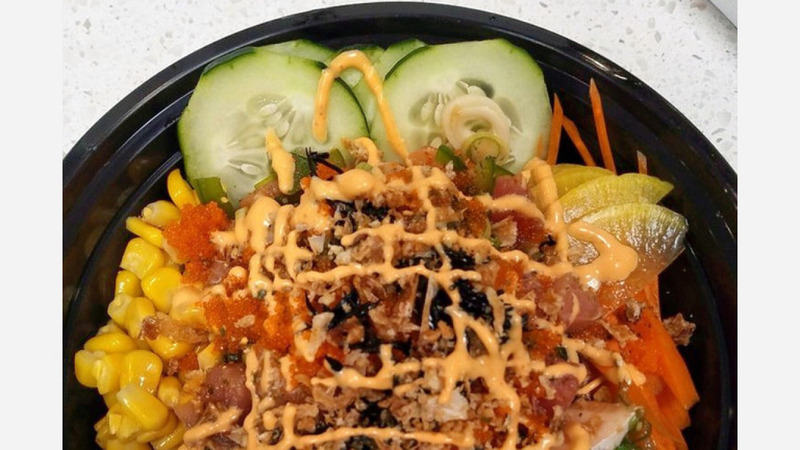 This new spot--located in the Blalock Market Shopping Center--features customizable poke bowls, sushi burritos and Hong Kong-inspired desserts. Similar to most poke spots, diners start by choosing a base of salad or white or brown rice. Next, they can select proteins, including options like ahi tuna, salmon, unagi (freshwater eel) or organic tofu. To round the dish out, customers can choose additional toppings that include avocado, sweet corn and jellyfish salad. Finally, finish it off with a signature sauce such as spicy mayo, ponzu or honey wasabi. For desserts, expect to see offerings like snow lotus soup, red bean glutinous soup or Hong Kong waffle cakes. With a five-star rating out of four reviews on Yelp so far, the new sushi bar is on its way to developing a local fan base. Debbie L., who was among the first Yelpers to review the new spot on February 23rd, said: "Clean little restaurant with friendly and quick service and fresh veggies and sashimi to put into either a bowl or a salad or a burrito!" Yelper Garrett B. added: "Friendly place that has a different take on sushi. Free miso soup also. Spicy salmon is great, and the presentation is good." And Joseph D. said: "So excited to have poke near work! So, so wonderful and yummy. Check out my three protein (tuna, unagi and shrimp tempura) bowl, now on brown rice! Love it. And try their grapefruit Yakult drink. Yummy!" Intrigued? Stop in to try it for yourself. Papa Yu is open daily from 10:30am-9pm.